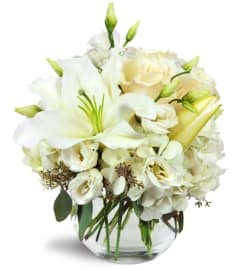 Bid your loved one farewell with this lovely all white display. 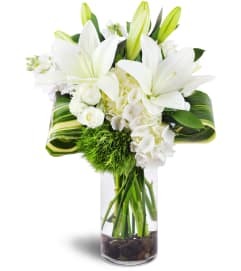 White Carnation casket spray with varigated pittosporum, aspidistra leaves, and bear grass. 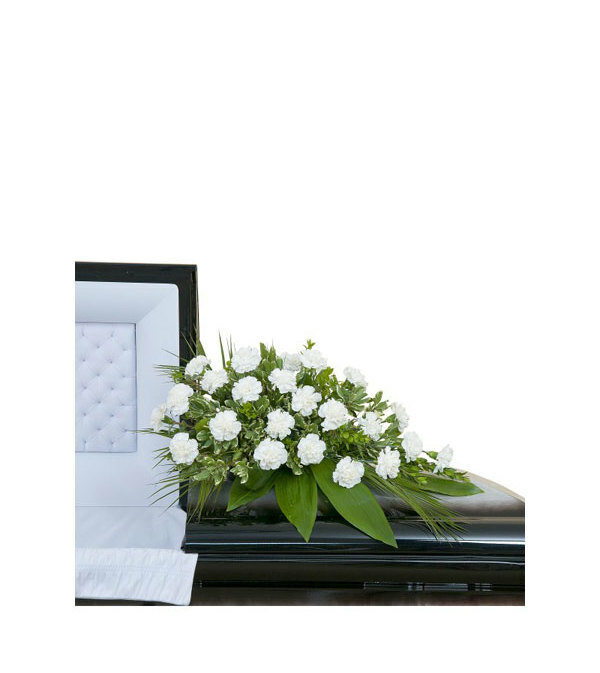 Express your deepest sympathies with this casket spray arrangement.